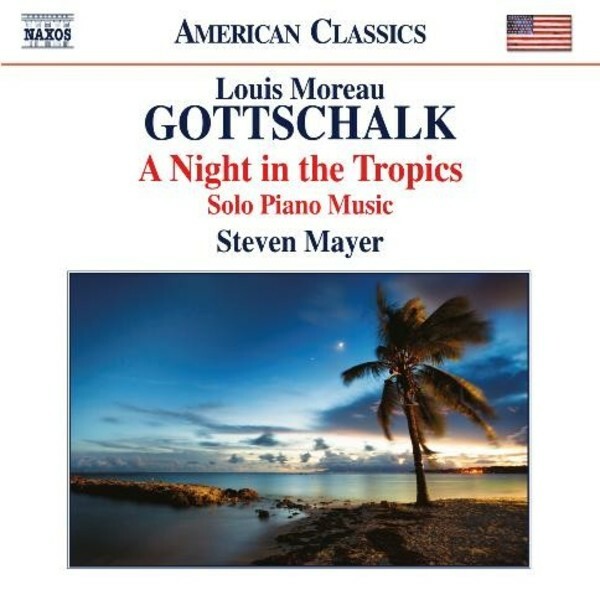 Louis Moreau Gottschalk was the first important American composer to fuse European classical piano music with American cultural influences, including folk music, the music of slaves, and Latin American dances. Although still revered for his anticipation of elements of Ragtime and Harlem Stride Piano, he owed his greatest musical debt to Chopin. On this recording we hear memorable and catchy tunes as well as considerable harmonic ingenuity. It includes some of his finest pieces, such as the deliciously Gallic Pasquinade, the wonderfully expressive Le Banjo and Steven Mayer�s solo piano arrangement of La Nuit des Tropiques.